We had a great weekend in the Acevedo household. Friday I babysat for handsome little Baby Crane. He is just as precious as can be. I also found evidence of Fall outside. Leaves are changing colors. Hoorah! Saturday we had a garage sale. Not gonna lie, we didn't make much money...but that's okay. It was fun hanging out with friends. I helped set up for a baby shower at Pregnancy Support Services in the afternoon, hung out with Jaxon for a bit, and then drove to Durham for a night of fun with Pilar. We tried the Indian food truck and it was really delicious. I wasn't expecting it to be so tasty but it was definitely legit. We also hung out at her house, walked to a local coffee shop for some chai, had wonderful conversation, and went to the MotorCo to watch the Love Language and a couple other bands. 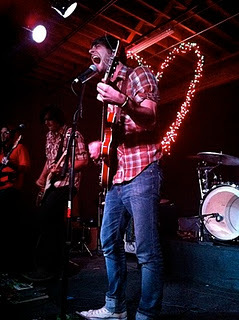 The Love Language put on a great show and I was diggin' the venue. 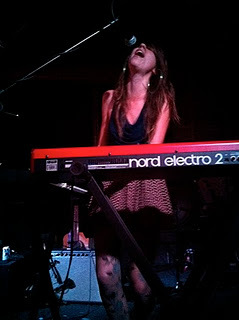 You should check out a show there if you get the chance. 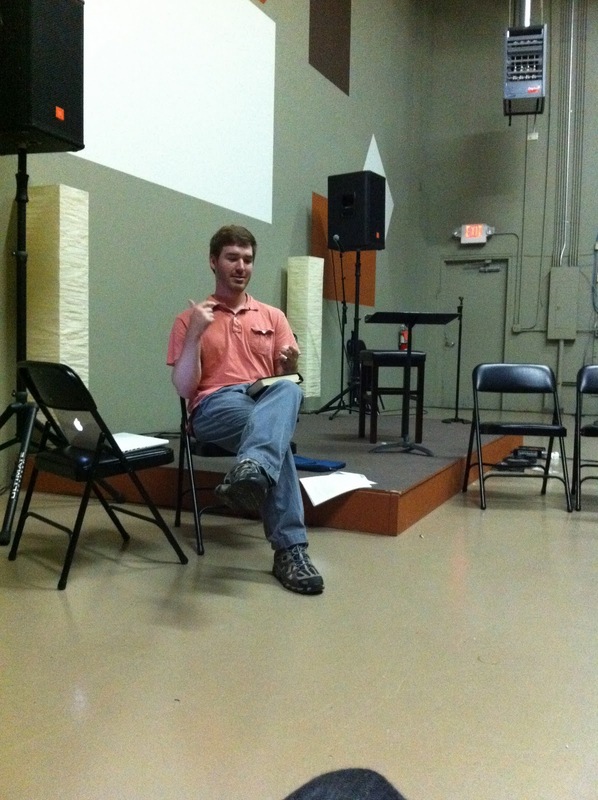 That evening we had a Soma meeting where Bryan did some teaching on how discipleship happens best in community. And then we had a delicious rotisserie chicken and duck dinner at the Riddles. 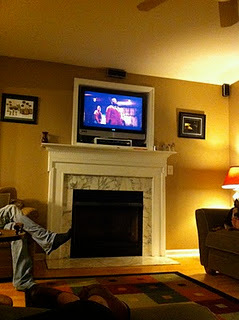 We also watched Pulp Fiction. That movie never gets old. *all photos taken with my iPhone.